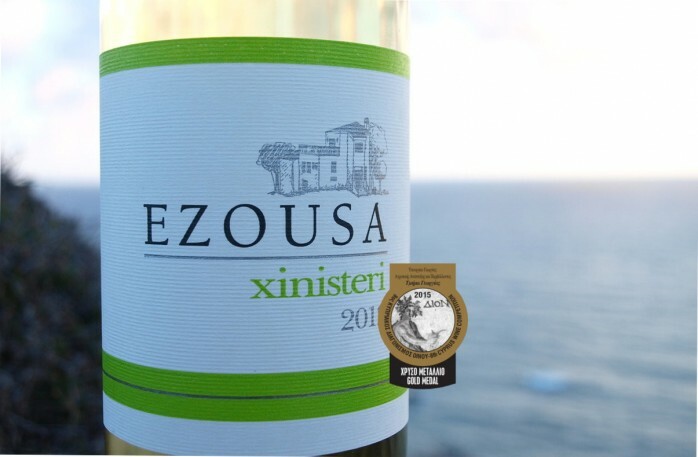 The white grape variety cultivated for centuries in Cyprus Xynisteri is now cherished and cared for emerging winemakers adapted to modern tastes. gehört die Rückbesinnung auf hochstehende, einheimische Sorten, die sich bestens an das Terroir mit den kargen, teils vulkanischen, teils kalkdominierten Böden und die heissen, trockenen Sommermonate angepasst haben. 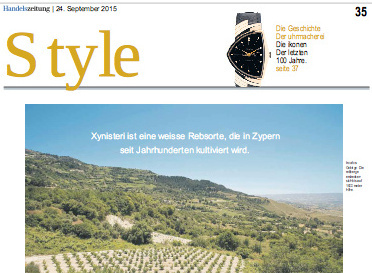 Swiss writer Rudolf Trefzer from the Swiss Handelszeitung, captures the essence of a renewal led by a generation of winemakers relying on uncompromising quality, hailing the return to high-value, domestic varieties best adapted to different local terroir. With its finesse, citrus and herbal notes, but sometimes of exotic Embossed fruit and floral notes Aromas and its fresh, lively and harmoniously balanced acidity and its moderate alcohol include Xynisteri wines the Cypriot top vintners to the most promising discoveries of recent years, whose great advantage of being available in Switzerland, made available by paphosweine.ch. Added to the renewed effort with the 8th Cyprus Wine Competition remains a valuable opportunity for yet another occasion for exposure of Cyprus Wine.